There's a cemetery just near my daughter's place at Hemmant. I drive past it often but suddenly decided to call in and take some photos the other day. I had been before, as I researched a family member of a friend. It is quite an old cemetery by Australian standards and has been operating since 1875. 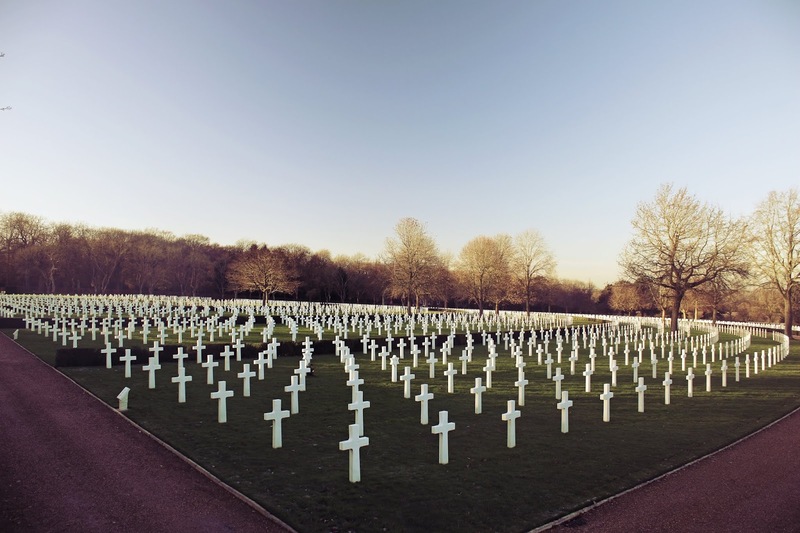 I do have a habit of visiting cemeteries, especially those that have war graves. I like to walk along the rows reading what is written on the gravestones. These days, when the dead are often cremated and ashes either kept by a family member or loved one or scattered somewhere, there are fewer people getting grave sites and fewer still are getting the wonderful stone headstones of days gone by. Once upon a time, there was always evidence of someone's life and death recorded on the headstone. I think of my own parents who weren't buried in the family plot. Their choice. The cost of maintaining headstones/cemeteries is causing a lot of challenges. 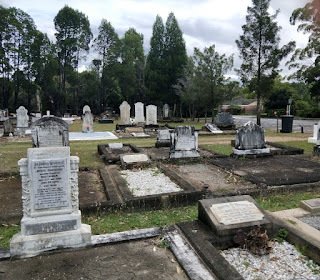 Even the cemetery at Hemmant is rather sad in places as some of the headstones are deteriorating and some of them so much that it is hard to read about the deceased. So maybe there is more value in the written story of the deceased. Life stories are my passion and also obituaries. I have to laugh when I mention the latter, but I think that we should be doing more of these. That way, there can be a lasting story about people. So, no gravestones, but a life story (biography) complete with some photos can be stored electronically. Helpful for future historians too. I am happy to talk with groups and individuals about preparing their own - it doesn't have to be very long. Maybe 1500 words are enough. One of my goals is to promote this idea. Newspapers do like to publish them too. 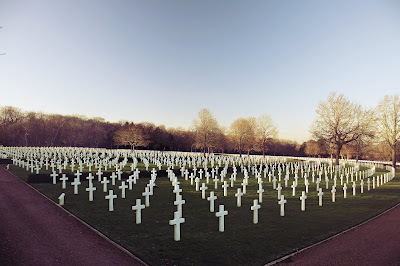 War cemeteries are very interesting. They tend to be better cared for and managed and reading the headstones is very moving. biography cemeteries cemetery grave stones Hemmant cemetery obituary.